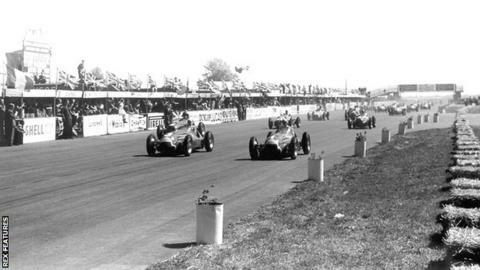 Where it all began... 13 May 1950: The very first Formula 1 World Championship grand prix gets under way on a glorious day at Silverstone. Sixty-nine years later, the series is set for its 1,000th race this weekend. Formula 1 reaches its 1,000-race milestone at this weekend's Chinese Grand Prix in Shanghai, where Ferrari's Charles Leclerc will try to erase his Bahrain heartache with a maiden victory. How do you mend a broken Ferrari heart? If ever there was a grand prix that brought F1 fans together in collective sympathy, then Charles Leclerc's gut-wrencher in Bahrain was surely it. The 21-year-old celebrated plenty of firsts under the floodlights at Sakhir, including a maiden pole and podium finish. But a first F1 win had wait for another day after his Ferrari agonisingly suffered an engine problem with nine laps to go, allowing Mercedes' Lewis Hamilton to come through to take the win. Ferrari have confirmed Leclerc will use the same power unit in China after the team had traced the issue to "a short circuit within an injection-system control unit". Can the 1,000th F1 race provide the moment of Leclerc magic his fans are so desperate to see? Will there be any Shanghai surprises? Designed to look like the Chinese symbol for "shang", meaning upwards, and with a flat-out straight for almost 1.4 kilometres, the Shanghai International Circuit has proved a happy hunting ground for world champion Hamilton, who has five victories here - three for Mercedes and two for McLaren. With an tricky start to the lap - a tightening right-hander that sweeps uphill before dropping back down - a front-row spot on the grid is a must. History suggests it would be unwise to bet against Hamilton being right up there again, with a record six previous poles to his name at this track. Hamilton's pedigree in China and Leclerc's red-hot form will only add to the pressure on the second Ferrari of Sebastian Vettel, whose clumsy spin in Sakhir was his fifth such error in the past 13 races. The German was outpaced by team-mate Leclerc throughout the Bahrain weekend, and admitted his car was "extremely difficult to drive" after finishing down in fifth place. Nothing less than a top-three finish will do for Vettel as he is already 22 points behind championship leader Valtteri Bottas - the Finn one point ahead of Mercedes' team-mate Hamilton. Yet if Vettel thinks his season has started poorly, he should spare a thought for Daniel Ricciardo. The Australian swept to a sensational victory for Red Bull in Shanghai in 2018, passing five cars thanks to a fresh set of tyres during a safety-car period. "I don't seem to win boring races," he said at the time. Fast-forward one year and it's all very different for Ricciardo, who is now at Renault and has two DNFs from as many races at the start of the season. He has struggled to match the pace of team-mate Nico Hulkenberg and admitted in Bahrain that he was over-driving because he was used to a car with more performance. "There are for sure some things I need to figure out what I need in the car as far as set-up goes," he said. "The positive is I know there is a lot for me to still gain from this car. I hope it happens sooner but it is going to be a bit of a process." Hamilton has already expressed his excitement at seeing his 'Team LH' fan contingent in China this weekend. "I got this 'Warriors Love' tattoo right after my win in 2017," he wrote on Instagram. "A moment that will stay with me a lifetime. "You always make me feel so welcome and the energy you give me is incredible." Is there any space left for another inky tribute if results go his way on Sunday? How can I follow the Chinese Grand Prix on the BBC? Set your alarm clock to "groggy" as the early morning starts for UK fans return this weekend. Friday's practice sessions, plus Saturday's final practice and qualifying will be available on BBC Radio 5 Live Sports Extra. Race day on Sunday needs a quick channel switch to BBC Radio 5 Live for full commentary from 07:00 BST. As ever you can follow every twist and turn with BBC Sport's live text commentary and get involved with your thoughts and predictions using the hashtag #bbcf1 via Twitter.